His anger drove his ratings, but also drove his bosses crazy. 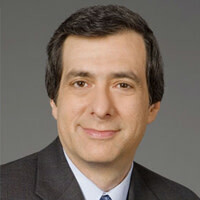 Howard Kurtz on how the newly unemployed MSNBC star’s indignation fueled his rise and fall. When Keith Olbermann launched his MSNBC program eight years ago, he attempted to assemble a witty, fast-paced, post-ironic look at the day’s news. Then he got angry. As his indignation swelled—fueled by George W. Bush, the Republicans, the Iraq war and Fox News—his ratings ballooned as well. But at times the anger would metastasize into self-righteous fury, producing bitter confrontations with his network bosses—who treasured Olbermann’s success but were increasingly worn out by the histrionics. Olbermann’s abrupt departure Friday demonstrated, in a very real sense, the limits of anger as a tool of television. The same fervor that draws cheers from partisan viewers almost invariably leads to clashes with the people who sign the checks, as their pit bull starts gnawing on the furniture. For Phil Griffin, a friend and colleague of Olbermann’s for three decades, the demise of Countdown was a giant step toward asserting control over his network, even at the price of losing his biggest star. And the MSNBC president, whose hand was forced by what he regards as Olbermann’s scorched-earth tactics, is hardly alone in an industry in which anchor-monsters draw huge salaries but are difficult to tame. As for Sean Hannity’s Republican boosterism, Ailes was sufficiently annoyed last April to order him to cancel a show at a Cincinnati Tea Party event—where organizers were charging admission—and return to New York. At CNN, Lou Dobbs resigned in 2009 after management ordered him to be less strident, particularly on immigration issues. Dobbs said he wanted the freedom to speak out and possibly jump into politics. For Griffin, a blunt-spoken former producer, Olbermann was an immense talent with an ego to match, and their dealings often devolved into a test of wills. As part of the settlement of Olbermann’s $30-million contract, insiders say both sides have agreed for a limited period not to discuss his departure, which was hammered out over a period of weeks and gave Griffin time to rejigger his prime-time schedule. For Phil Griffin, a friend and colleague of Olbermann’s for three decades, the demise of Countdown was a giant step toward asserting control over his network, even at the price of losing his biggest star. Olbermann was acutely aware that his maneuvering room might shrink with the more buttoned-down executives at Comcast set to take over NBC this week. And for Griffin, the overriding question was whether to keep fighting the same battles or bet the network’s future on the liberal hosts he hired in Olbermann’s wake: Rachel Maddow, Ed Schultz and Lawrence O’Donnell. That line, however, can seem subjective on a politically charged battlefield. O’Reilly’s fans love to hear him go after the “far-left loons” and “pinheads.” Beck’s popularity with Fox viewers didn’t fade after he called President Obama a racist. Sarah Palin’s “don’t retreat, reload” rhetoric has endeared her to Fox’s core audience. And for struggling MSNBC during the Bush administration—when many on the left felt the media had enabled the 43rd president in his march to war—Olbermann emerged as a crusading avenger, naming Worst Persons in the World and adopting Edward R. Murrow’s sign-off. Other highly paid stars, of course, have clashed with the network czars. Jack Paar walked off the Tonight Show in 1960 after NBC censored a joking reference to a toilet, returning a month later. Dan Rather walked off a CBS set in 1987 after a tennis match cut into his newscast, and says he was removed as anchor in 2005 because of the furor over his unconfirmed report on George W. Bush and the National Guard. MSNBC fired weekend host Michael Savage in 2003 after he described a caller as a “sodomite” and said he should “get AIDS and die.” But each of those conflicts grew out of a single incident, as opposed to Olbermann’s nightly barrage of acid-tipped rhetoric. And he was well aware that Fox, “and particularly the conservative talk radio that preceded Fox News, succeeded because there was a huge [number of] people in this country who believed their voices were never being heard, that they had no say in the media, that there was no echo.” Keith, in short, became the anti-Fox. But with fame, fortune and better ratings came an emboldened sense of his own power, aided and abetted by his network. During the 2008 campaign, Griffin allowed Olbermann, along with onetime Democratic strategist Chris Matthews, to anchor MSNBC’s news coverage on primary and convention nights, drawing protests from NBC’s old guard. “I mean, ‘Get a shovel’? Keith, my God,” Scarborough complained. Griffin finally junked the plan, installing David Gregory as the anchor for live political events. But that was then: with Obama in the White House for the midterm elections, Olbermann led the team coverage, along with Maddow, Matthews, O’Donnell, Schultz and liberal commentator Gene Robinson. By the time Griffin suspended Olbermann late last year for violating network rules by contributing to Democratic candidates, there were deep scars on both sides. When Olbermann threatened to air his grievances on other networks, Griffin vowed to fire him. The relationship with management kept deteriorating to the point that divorce became inevitable. Even those sympathetic to Olbermann came to believe that his deep well of anger, the secret of his box-office success, often got the best of him. Olbermann will find or create another outlet, but the cable conundrum remains. For all the recent chatter about civility, it is raw emotion, harnessed to ideology, that puts viewers in the seats. Sometimes the performers match the moment, and sometimes the moment passes and they become caricatures of themselves, listening only to their own voices.